Macaroni and cheese might be a favorite of kids everywhere, but sophisticated, gourmet versions are popping up on menus around the state. Kraft made it wildly popular with their little box that cost just 19 cents in 1937, when it was introduced. Next time you’re craving mac and cheese, check out these 10 awesome eateries in Oklahoma! The Macaroni Pony serves up mac & cheese on jalapeno cornbread with chipotle barbecue pulled pork and a pickle. It’s probably the most popular sandwich on their menu. Located on the Historic Campus Corner in Norman, Seven 47 offers five different versions of mac & cheese on its menu. The Big Boy features locally raised chicken and tomatoes with giant rigatoni in a three-cheese sauce. The mac & cheese on Republic Gastropub’s menu is listed as a “side action,” but it’s made with bacon and andouille sausage. You could make it a meal if you add a salad or vegetable. Try the mac & cheese burger at the Hut, or get some mac & cheese bites as an appetizer. They’re so good, you won’t want to share. The Mercantile is the Pioneer Woman’s store and restaurant. 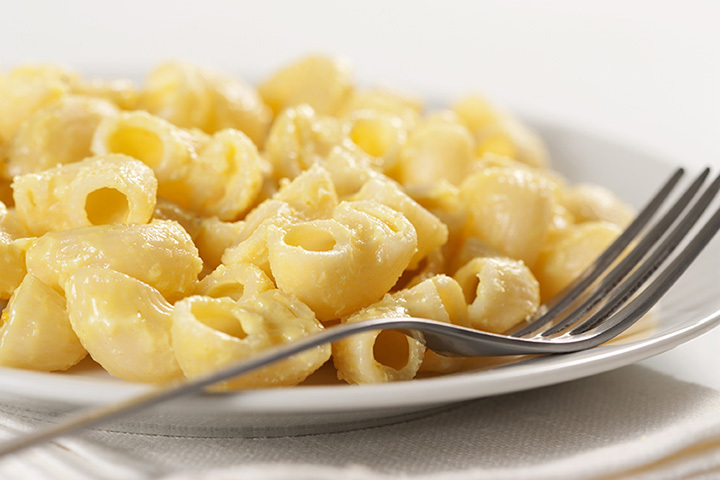 The deli serves mac & cheese as a side dish, but it’s her recipe and made with love. The store is a historical building that was restored to preserve its heritage. You’ll want to get there early for lunch to beat the lines! Make it a weekend splurge with one of the best chicken fried steaks in T-Town, served with a side of mac & cheese. Foursquare users highly recommend the Buffalo chicken wrap, too! Pryhme has some of the best steaks in Tulsa, and its mac & cheese is absolutely delicious and gourmet. It’s a little spicy and very rich, but you’ll have enough to share with the whole table. This gastropub makes everything from scratch, except the bread, which is from Johnson’s Bakery. They grind the beef and bison for burgers, prepare fresh vegetables and fruits from local growers and make all their own sauces. The Mac n’ Cheese n’ Cheese n’ Cheese features three cheeses, jalapeno bacon, red onions and bowtie pasta topped with crispy breadcrumbs. You can add chicken or shrimp for just a couple more dollars for a complete meal. The Paseo is one of the best places in OKC to enjoy art and shopping. Picasso Café sources local ingredients to make its mac & cheese with pulled chicken, tomato, red onion and a three-cheese cream sauce. The Drunken Pear salad is a great side.